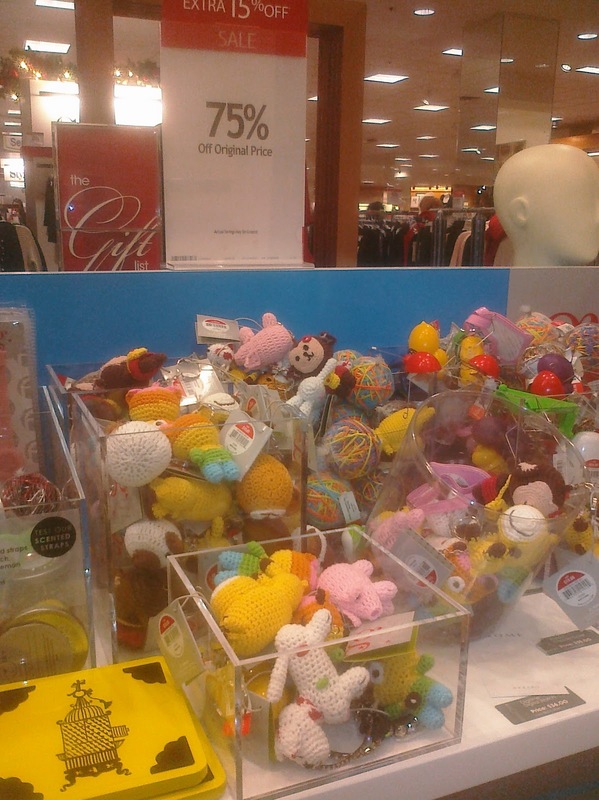 At the beginning of November, I blogged about some amigurumi key chains that my husband and I happened to see in the Macy's holiday shop. If you remember, the little things were poorly made with cheap materials and priced to the tune of $10! On one hand, I'm happy to be right. 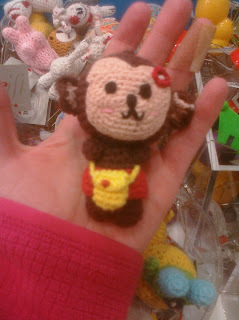 No consumer in her (or his) right mind is going to shell out more for a poorly made, unoriginal amigurumi key chain at a department store when they could have something beautiful, unique, and hand made with love from and number of talented crocheters online and at local craft shows. On the other hand, I'm a little sad. Macy's getting $10 for a poorly made key chain would mean that I'm not charging near enough for my work. How wonderful would it be to have real evidence that my work is worth more than $1.50 an hour? For Macy's part, I hope they did something thoughtful with the leftover inventory and pray that I don't see it next time I pop into Dollar General. Perhaps give the key chains away to tweens/teens at a children's hospital or contribute to help keeping our soldiers safe with operation gratitude. We shall see. I love you for this post! :) I try to spread the handmade love, especially to Eli. I want him to grow up with appreciation for crafting! !